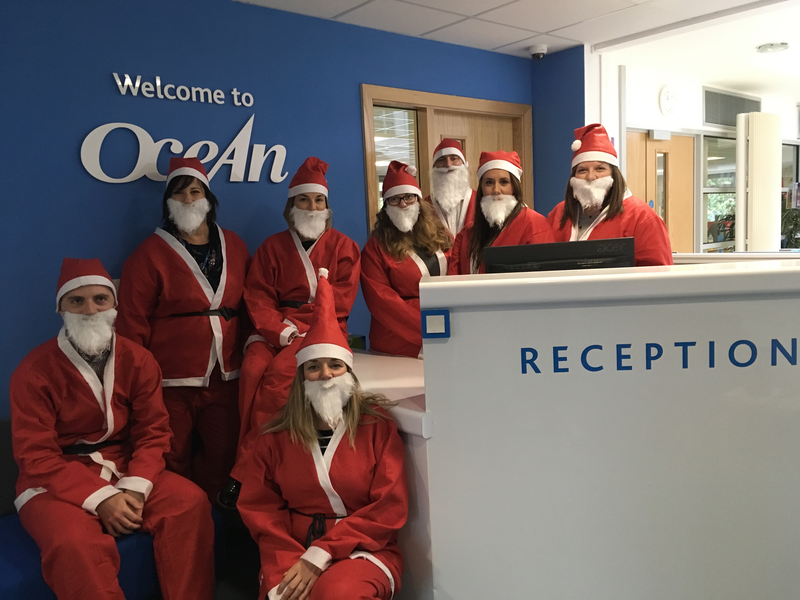 Ocean Group based at Holmbush in St Austell has shown its support for Children’s Hospice South West’s (CHSW) upcoming Santas on the Run event at the Eden Project by generously sponsoring the event. Santas on the Run is a 2km festive fun run and has been supported in previous years by Ocean Group, a not for profit, charitable registered provider of social and affordable housing. Sponsorship of the event by the local business helps to cover event costs meaning that more money raised in sponsorship by those taking part can go towards the vital care offered by CHSW at its Little Harbour hospice at Porthpean. Santas on the Run is happening at the Eden Project on Sunday 9th December as part of CHSW’s Super Santa Sunday. Two other Santas on the Run events are taking place at RHS Rosemoor and at Bristol Harbourside, all will be raising vital funds for CHSW which cares for children and families across the region. Mark Gardner, Ocean Housing Group’s Chief Executive said; "We are delighted to offer our support again this year to an outstanding local charity, which delivers amazing care, support and services to children and their families in Cornwall and across the South West." Over 300 people have already signed up to take part in the 2km sponsored fun run which will see all ages running, jogging and walking around the iconic venue. Those taking part in the event will receive a Santa suit to wear and keep, medal, festive treat and free entry into Eden for the day. Prices are £15 for adults and £7.50 for children, under 3’s can take part for free and you can choose to take part at 11am or 2pm. Little Harbour is currently supporting over 130 children and families some of which will be staying at the hospice over the festive season enjoying a short break with expert care and support on hand for the whole family.